The recent announcement that the SFA have dropped the option of abolishing Hampden for Parkhead and Ibrox has been met by mostly muted comment. Which is strange since the vast majority of Scots’ football fans would have preferred to move games around the country, cash Hampden’s chips in and move on. However, for once the SFA are being cute by announcing that the choice of Scotland’s home games is now a straight choice between Hampden and Murrayfield. Most people wanted the option of various venues but by narrowing it down to a fight between Glasgow and Edinburgh the SFA, for once, are boxing clever by knowing reducing it to a two horse race will reduce any criticism that will be aimed at them when they announce that they are staying on Glasgow’s south side. Moving to the home of rugby in Edinburgh may be popular in some circles but any move would be utterly preposterous. The idea of football losing much needed finance to rugby makes it a total non-starter. Ask the Edinburgh public in leafy Corstorphine what they would make of the prospect of 67,000 rabid Celtic and Rangers fans descending upon them for a cup final and see what answer you get. That’s without even referring the matter to local police, politicians and authorities. What the SFA will do now is wait a while, have a couple of consultation events and then announce to the country that Hampden wins. Does anyone really believe this is a real contest ? The offices of all Scottish football’s governing bodies are located within Hampden. If Hampden closes they would need to pay for office space, not cheap in big cities, and right now the SFA are not exactly flush with cash. But the decision to stay at Hampden is clearly pragmatic in more ways than one. Although the travel links around Hampden are not ideal, the area is used to coping with big football games and the segregation required with it. 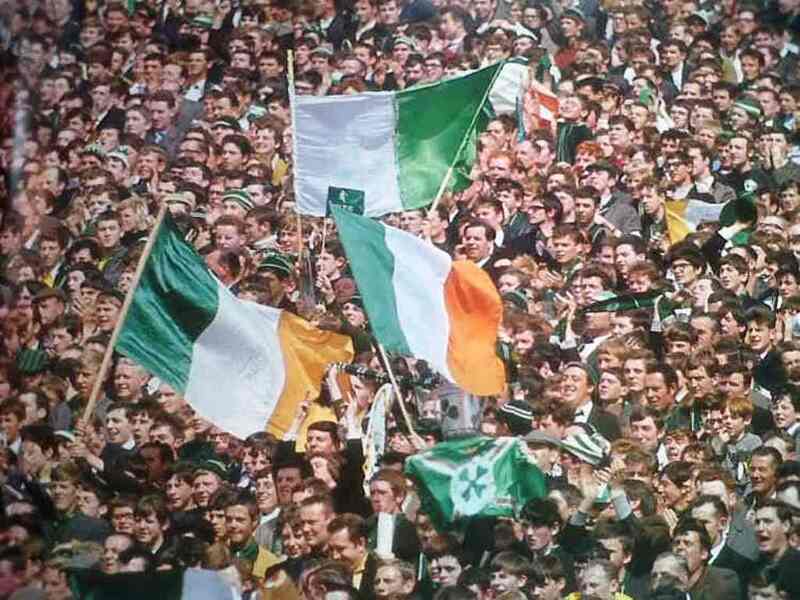 Some people may try to deny it but the vast majority of football attending supporters are still based in the west. I’m on record as stating that Celtic’s two CL qualifying games in 2014 against Reykjavik and Legia Warsaw were a logistical nightmare with the roads and rail unable to cope with tens of thousands of Celtic fans invading from Scotland’s largest city. Murrayfield was a thoroughly miserable experience. The view at Hampden isn’t terrific apart from the main stand but Murrayfield was a fair way from the pitch also and was far from ideal. Glasgow was traditionally known for three things; tenement slums, shipbuilding and football. Happily the slums have all but gone in the modern age and sadly, shipbuilding has seen better times. However, this city still pulls in well over 110,000 paying spectators per fortnight to watch the city’s three major clubs – don’t forget the old Harry Wraggs ! If we are to have a national stadium then Glasgow deserves to have it staying within its boundaries. Football, these days, is what really puts Glasgow on the map. 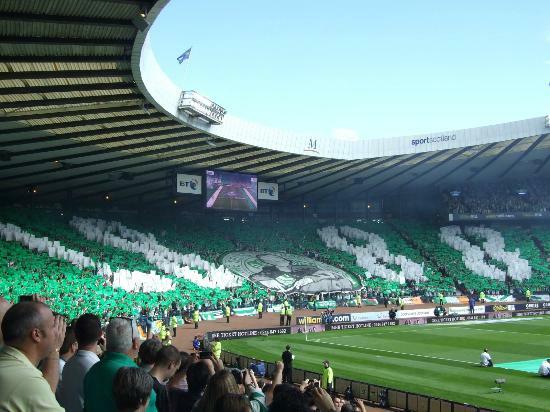 Of course, the SFA stand accused of allowing Hampden to fall into neglect – and not for the first time. The money spent on renovating it in the 1990’s was a scandal. The majority of it went on facilities for fat cats and offices for the administrators. Very little thought was given for the ordinary fans who endure rotten views, well away from the field of play, and poor amenities. It’s time for politicians to stand up and be counted at Holyrood. It’s embarrassing that Wales and the Republic of Ireland have the magnificent arenas of the Millennium and the Aviva, respectively. The long term solution for Hampden should be to knock down the north stand and two ends. Then take away the wasted space behind each goal and dig the pitch down to increase the capacity to 60,000 and have the fans closer to the pitch for a much needed improvement in atmosphere. This will take money and the government should look to provide loans in the short term. A financial contribution should also come from Westminster as the English were quick to part fund the highly expensive new Wembley. Inventive sponsorship will also bring in much needed cash. There should be stipulations before any public money is given. Queens Park are an anachronism and should move out to lesser Hampden. The SFA and Scottish League should be required to merge to save monies in the long term. Two governing bodies in football in such a small country as ours is a nonsense. So with the Parkhead and Ibrox cleverly placed out of the equation by the SFA, it’s down to Hampden or Murrayfield. A no brainer if ever there was one.